If you’re a small business, looking to increase sales and profit, this article is for you. I’m always looking to keep marketing simple, especially when explaining my processes when helping a business grow their revenue through online marketing tactics. The magical number of 10 is my best friend in marketing. It might look small because we’re usually dealing with larger numbers in business but, it is mighty. The best part, it can have a significant impact on net profits. Not so “measly” is it? One tiny number can do wonders to your bottom-line. It shouldn’t scare you and give you the confidence to make small changes for big results. If you have a recurring business, it’s even better. Add your original sales in year one to year two and you will have 221 customers. 221 x £1,100 is £243,100 with a net profit of £85,085. That’s nearly a 250% increase in profit from the year before. ‘WOW’ did I hear you say? 10% increments for a 250% increase in profits. Yep! The power of 10. Now, it’s only fair to give you 10 tips on how to action the 10% strategy. There are two main aims here. First of all, you need to create more articles for your website on a monthly basis. 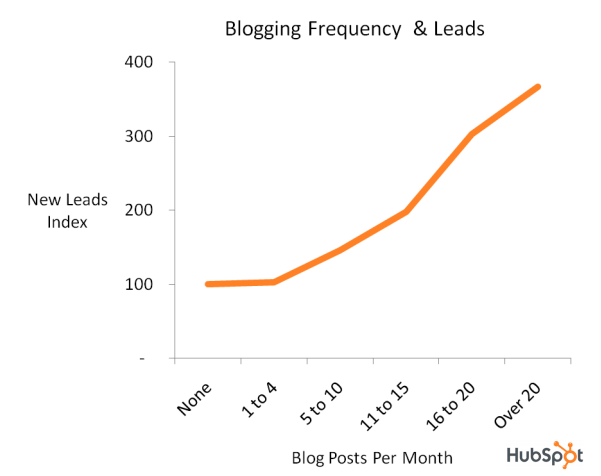 HubSpot’s market research indicates, more frequent blog posts bring greater traffic and leads. Start month one by doing an extra article and then the same again the following month. Second, other blogs and news websites need content. Guest blogging can help you reach audiences that you don’t have at the moment. It’s a match made in heaven. Find websites your competitors are writing on. Have a look around at websites you feel would benefit from your expertise and reach out to them using Brian Dean’s Definitive Guide to Guest Blogging. Customer lands on your website and the phone rings. They’re called out to a meeting and close their computer. Later on that night, they’re on another site that accepts retargeting ads. Your ad appears on the website keeping your brand front and centre. They click the ad and are now back on your website looking at the services/products you offer. High click-through rates and increased conversions lead to less drainage and increase maximum exposure to potential customers. To find out more, AdRoll explains How ReTargeting Works. eBooks are a great way to show off your knowledge, build trust and receive valuable data. The eBook needs to be so good that they’re more than happy to leave their name, email and telephone number. It has to solve a problem your customer has, but you have the solution to their problem. Don’t push your services/products too much, just give away valuable information that they will love. When the customer enters their details for your eBook, you will get a notification of your new lead. Give them a couple of days before you get in contact but always follow through using your sales processes. HubSpot has an awesome eBook on Lead Generation, which follows this same process. Google Adwords are still an excellent way to generate more traffic to your website. They are more expensive now, but if you know what you’re doing, they can be very profitable. I still see a lot of ads going to home pages, and the ad isn’t displayed or optimised as best as it should be. Here’re two tips. Instead of using a group of keywords in an ad, create two different ads based on one keyword so you can A/B test that single keyword to see which converts the best. Then create another ad and split test again. Next tip, create a landing page to send your Google Adwords traffic to, and use a great copywriter to write your sales page. Trust me, it helps increase conversions. If you read Mike Shreeve’s sales page, you’ll understand what I mean. Online video is taking over the web. By 2018, 84% of web traffic will be video. Human beings are visual people and providing explainer videos will keep them captured and increase the time spent on your website. Keep your videos short and on point. Create videos with you and your team in them. They get to meet you without actually meeting you in person. The more trust you can build with your audience, the better chances you have converting the traffic on your website. Here are some more benefits to creating videos for increasing conversions from Crazy Egg. Can you improve your landing pages? Are you following up on leads regularly? Are you presenting your services/products the best that you can? Ask yourself lots of questions on your marketing and systems. Write down a list of tasks you think will improve conversions. Then, A/B test everything. A/B test some more. And even more again. KissMetric’s Guide to A/B Testing is my go-to resource on the subject. Get rid of your slider. Multiple images and offers on the one page doesn’t work anymore (if it ever did), and people don’t have the time to wait around for a slider to display your multiple offers. Have your number and email in the header of your website. There are people who still love to talk rather than email. Who would have thought! Have a clear and precise message about what you do and what the customer’s problem is. It’s not about you; it’s what the customer gets from you. Here’s a sneak peak at our new site at Zap and shows what I mean by having a clear message. Have you ever been at the till and the cashier asks if you would like to buy something else? If you’re a B2B, you end up buying multiple times of the same customer. It’s exactly the same. You just need to find what that is. When I first started offering web design services, it was just that, web design. Now, we offer SEO, maintenance and training. It took us a while to get that strategy in place and we lost valuable revenue. Get these offers in your arsenal early as possible. Have a system for following up with customers once you’ve already completed exemplary work for them. It will be hard for them to say ‘No’. Working with other businesses can be very rewarding and easy to set up. A flooring company could pass leads to a kitchen company and vice-versa. An accountant could partner up with a web design company as they deal with a lot of start-ups. Create a team of business owners around you, who can help each other by passing leads for a small commission or even for the free mention. The more business you can pass, the more will be passed back to you. Your business partners will not want to lose one of their revenue streams. Can you reduce your time being spent on client work by an hour? Maybe even two? Can you buy your materials in bulk to reduce cost per item? I’m sure you can. There will be tasks you’re doing right now that you could pass to someone else for less money than what you’re paying yourself. Also, passing these tasks to someone else, will allow you to spend more time on work that pays more. Small businesses growing fast can also harm them just as much as it can make them. Make small changes everyday is a winning strategy and that you can grasp by the marketing cojones and make a huge success with. Do you like the concept of 10 for business? Are you going to try it? Has it made you feel more at ease about your marketing challenges ahead? Please leave your comments below and join the discussion.